Ulster have suffered two new injury blows ahead of the Heineken Champions Cup window. The province have confirmed that neither Andrew Warwick nor Alan O'Connor will make the trip to Scarlets this weekend, having sustained injuries during Saturday's victory over Cardiff Blues at Kingspan Stadium. Prop Warwick is out with a knee problem while an ankle issue is sidelining second-row O'Connor, who has captained Ulster in recent weeks in the absence of Rory Best. Out-half Billy Burns is a doubt after undergoing Head Injury Assessment protocol following a clash with former Ulster favourite Nick Williams in Saturday's 16-12 success in Belfast. Ulster have already welcomed six of their Ireland internationals back into the panel and should add Iain Henderson to that tally in Wales this weekend. 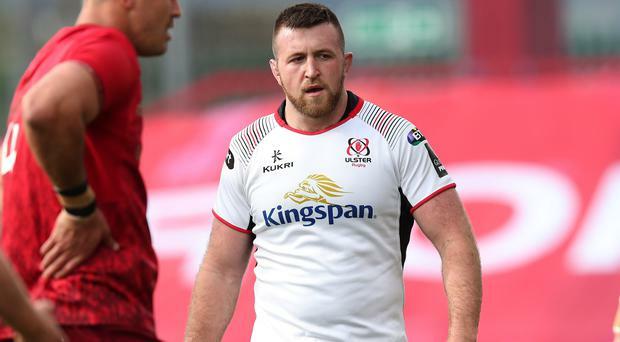 Ulster prop Marty Moore has been ruled out for the remainder of the campaign after picking up an ankle ligament injury in last weekend's bonus point victory over Edinburgh. By Chris Henry A PRO14 play-off place and a Champions Cup spot all off the back of a return to the last-eight of Europe. What a difference 12 months have made for Ulster Rugby. By Chris Henry We always say rugby is a game for everyone and that's why I fully agree with the Australian Rugby Union in their decision to cut ties with the supremely talented Israel Folau.